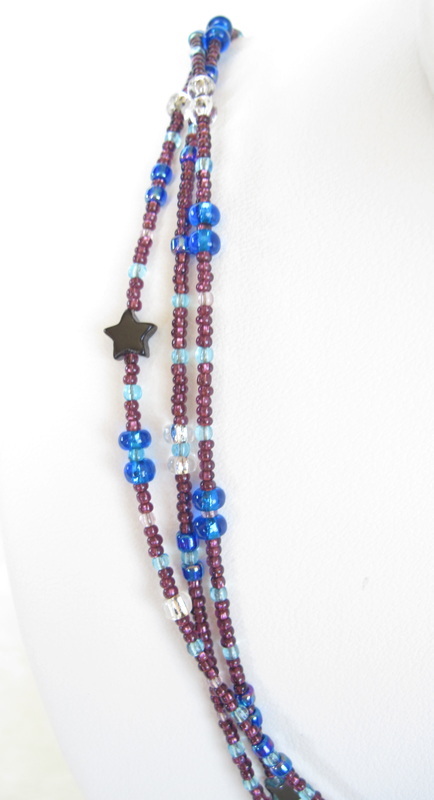 The sky darkens from blue to purple after sunset, and the stars begin to twinkle. Big and small, they take their rightful place in the celestial dance. 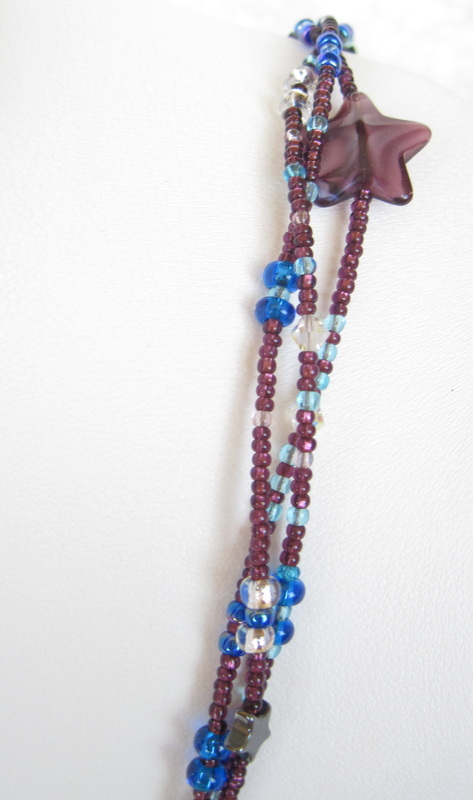 Crystal accents sparkle among the blue and purple seed beads. 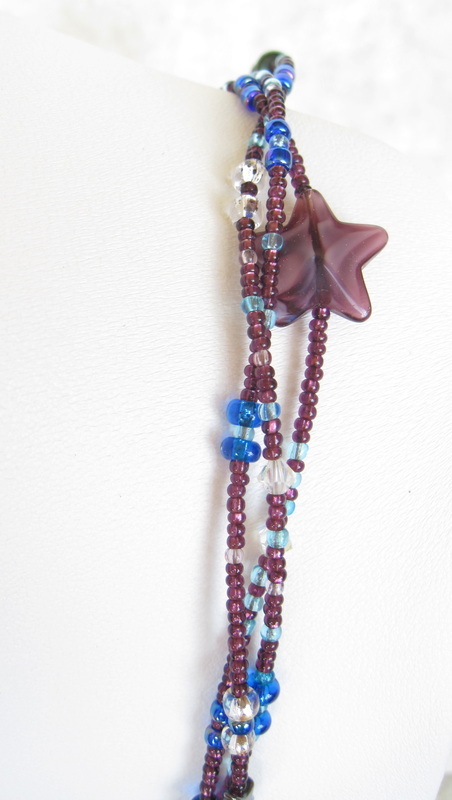 The more you look at this handmade conversation piece, the more interesting features you'll see! 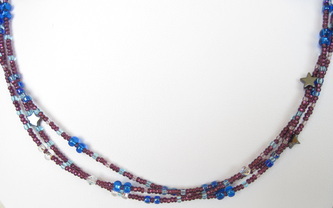 Three strands, delicately intertwined, 26" long, with a toggle clasp.